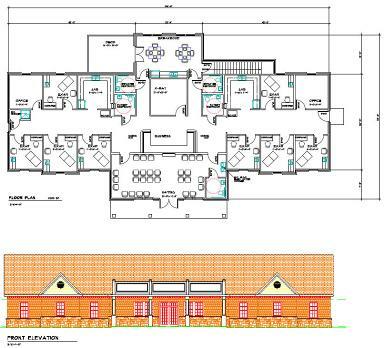 Site Development plans for the construction of a 4,500 sf medical facility for a local physicians office. Scope of work was to provide for grading, utilities, drainage, demolition, erosion control, pedestrian access and hydrologic considerations. Site was challenging due to the fact it has steep slopes, is next to a stream buffer, and is constructed on a site that is already partially developed. Coordinated the design with all other disciplines to resolve conflicts of design with architectural elements and utilities locations. Ensured location of building, access, and parking met all local codes and regulations. Obtained permits from local and state agencies for the construction of site related elements. 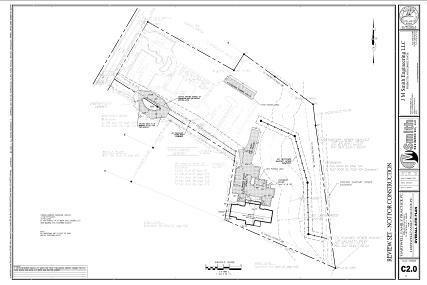 · Site constrained by existing development, stream buffers, and utility locations.